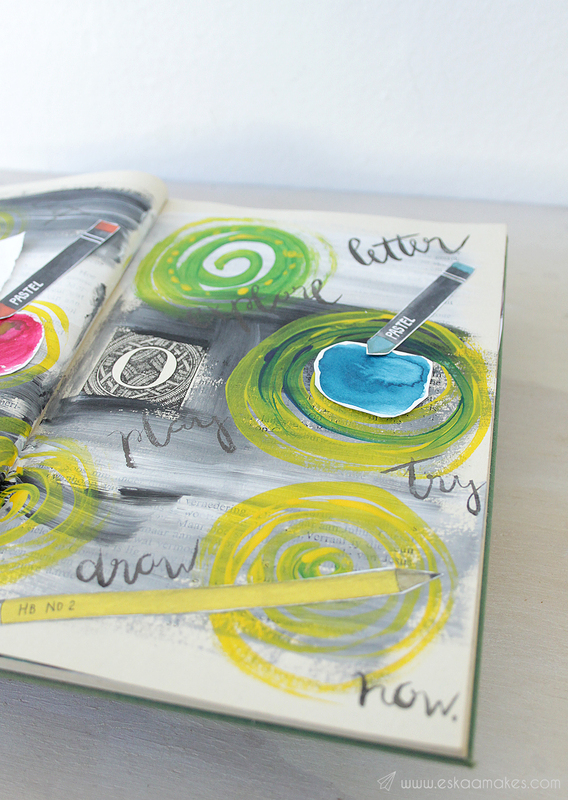 I discovered art journaling by accident in an online issue of the docrafts Creativity Magazine. Not that I’ve never seen it before, but I didn’t think of it as a concept. What I like most about it, is the experimental side to it. You don’t do it for the result, but for the process. Experimenting with colours, materials, images, words to express yourself, without the pressure that I often feel, to deliver a certain outcome. There are no rules, it’s total freedom of creativity. It feels so liberating! You basically fill pages of a notebook or actual book with paint, ink, magazine cutouts, drawings, stickers, photos, lyrics, words and whatever you can think of to record your feelings, thoughts or ideas. It can be deeply emotional or a canvas to practice different art techniques. You decide for yourself. And your own definition will evolve as you go along. You think you can’t paint or draw? You think you’re not artistic at all? It really doesn’t matter. A reason I started with art journaling is the many magazine cut outs that I collected, but rarely used for any projects. 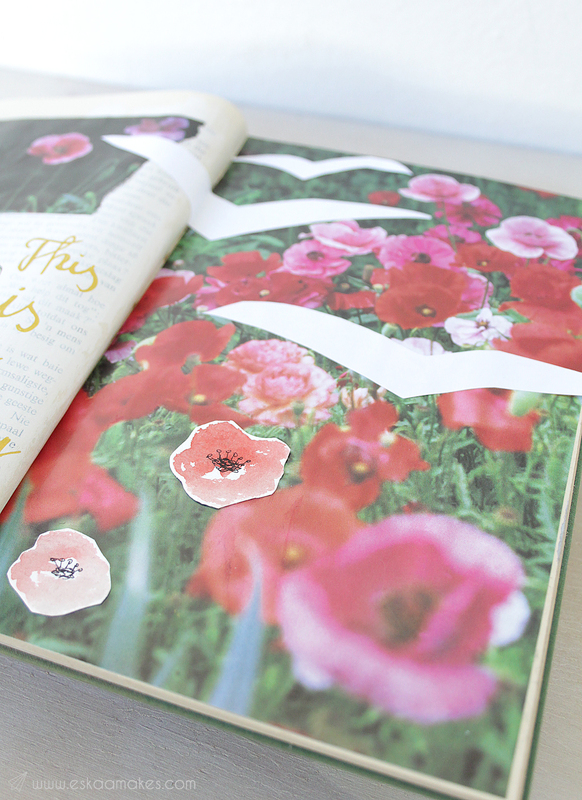 There are so many beautiful magazines with pages full of inspiration, art and happy images. I usually rip or cut out photographs, illustrations or patterns that are too precious to throw away. I always have big plans for them: frame that beautiful photograph of a flower that makes me happy every time I look at it, use that incredible colourful pattern for my next paper craft project and so on. But still, most of these soul-feeding images end up stacked away. 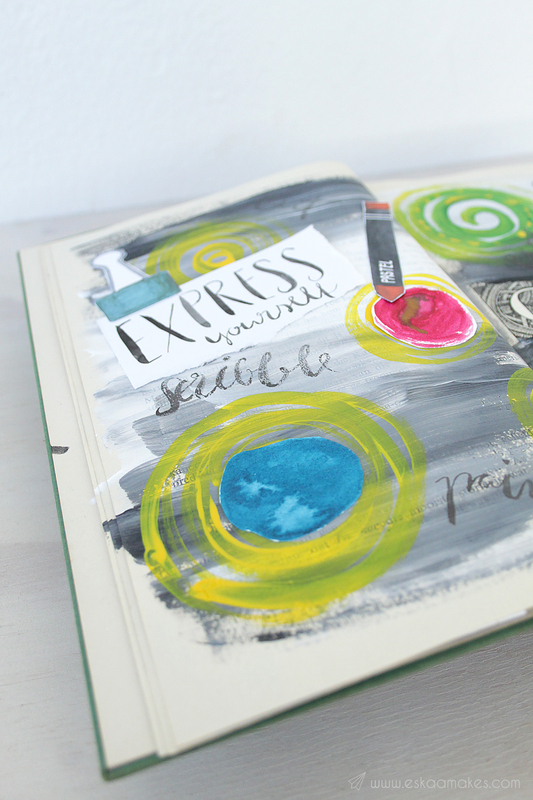 An art journal is the perfect way to give these collected treasures a purpose. There is a reason I had to cut out these pages. 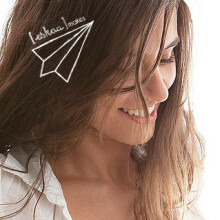 They make me happy, they speak to me in a language only I speak, they express my feelings without words. 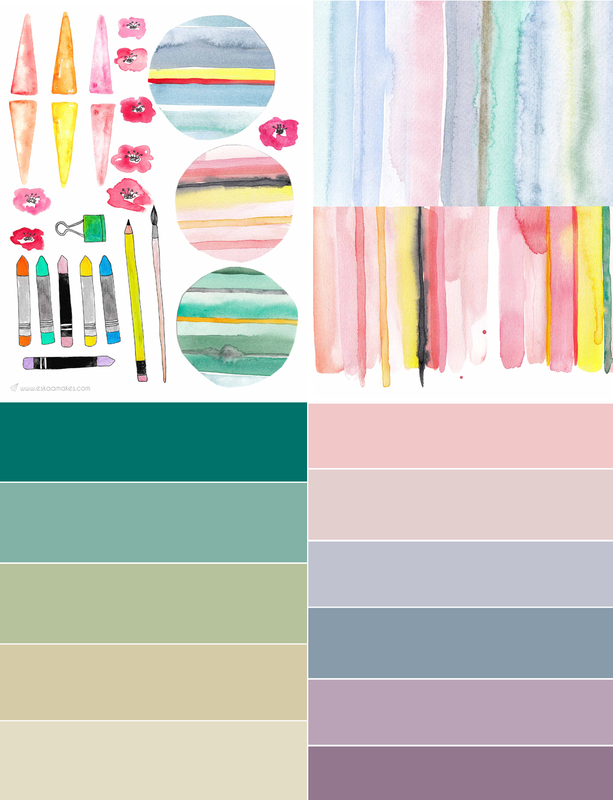 So what material is better for my art journal than these images? Greg McKeown writes in his book “Essentialism: The Disciplined Pursuit of Less” about the importance of play for your creativity, your productivity and your health. As I mentioned in one of my earlier posts about colouring in, as adults we sadly don’t do playful activities anymore. There is always a goal to achieve. 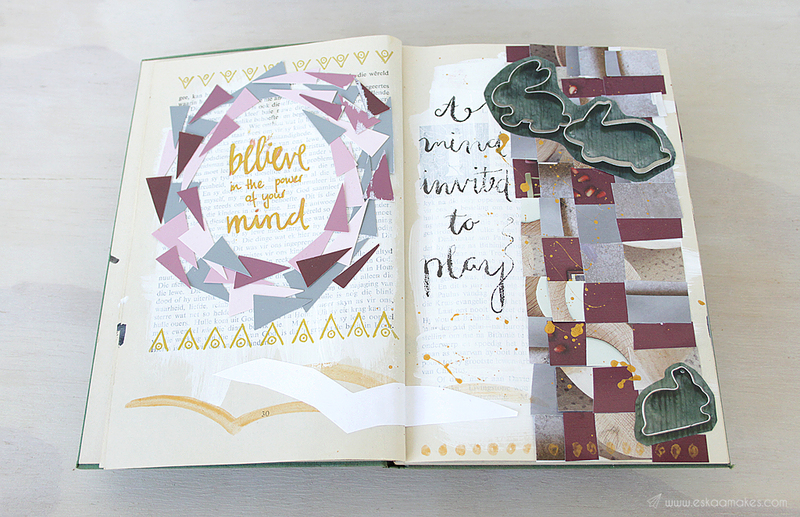 For me, art journaling is a pure form of playing. 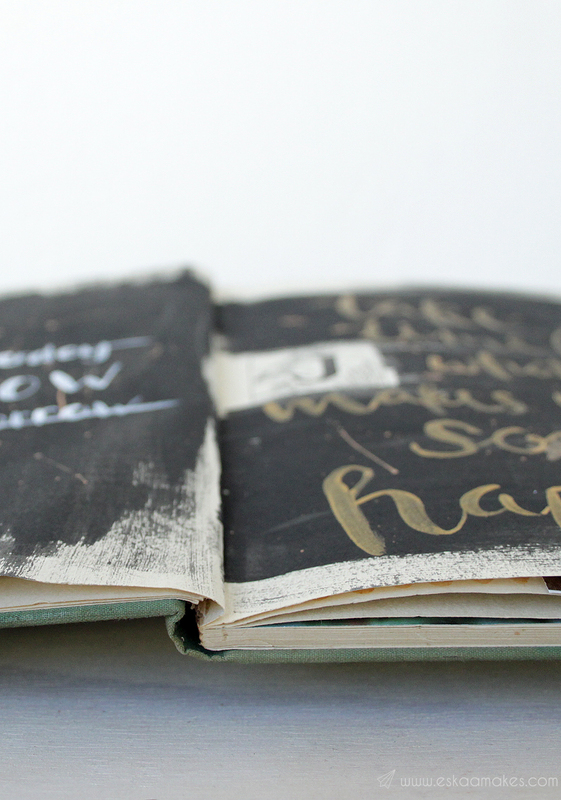 I understand playing as doing something without a result in mind and that’s how art journaling should be pursued. Just for the fun of the process. Experiment, follow your instincts and see what happens. And by all means, if you are absolutely not happy with the outcome, it’s always possible to paint over and start again. Isn’t that fabulous? 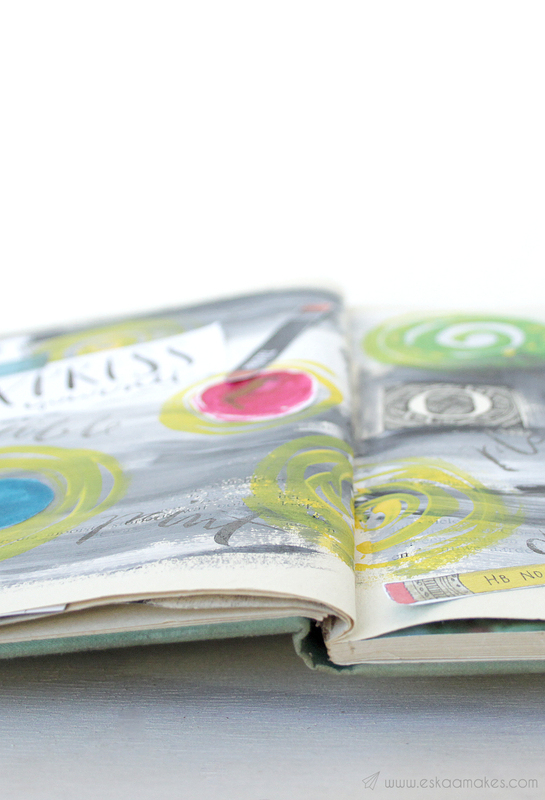 If you are not already looking for an empty notebook, scissors, glue and pens to start your first art journal, why don’t you begin with looking at what other people create? 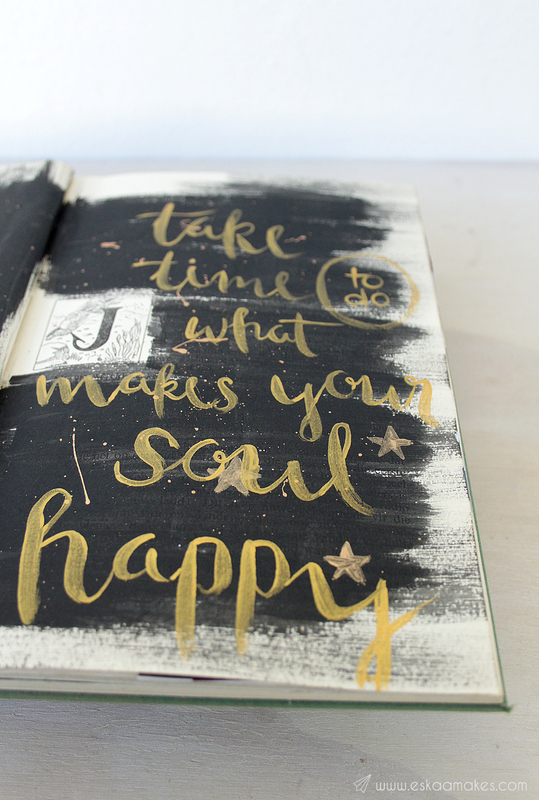 Pinterest is full of art journaling and a great source of inspiration for your own journal. I also started with a Pinterest board, but it didn’t take long until I grabbed a paint brush and scissors. Creating is much more fun than just getting inspired. 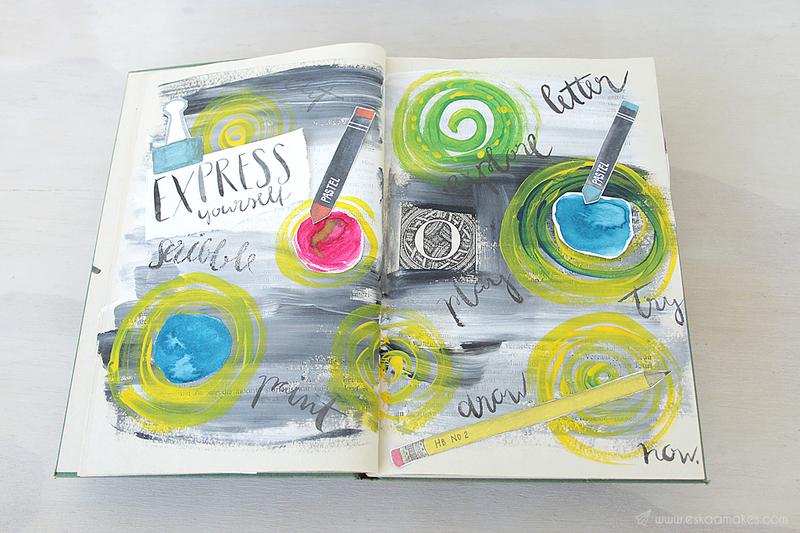 Read a bit more about what art journaling is here, get some tipps how to start here or join the Get Messy art journal community, do their free introduction course and get inspired. But the most important, actually, is, just to START. 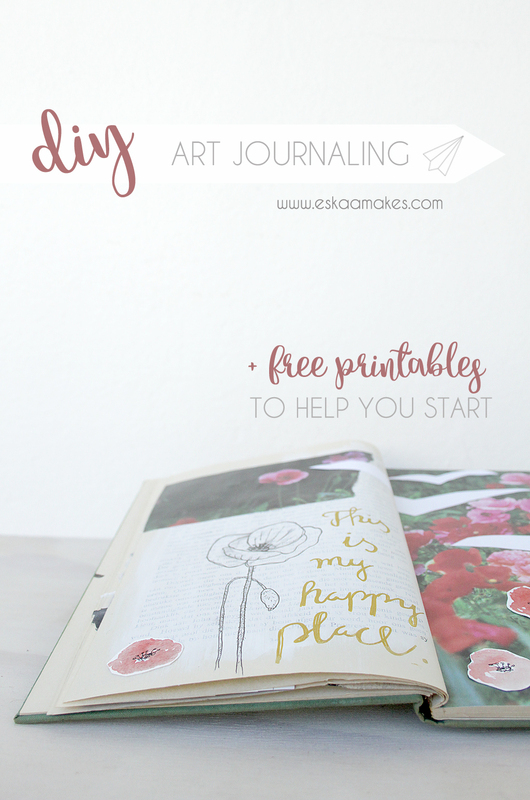 I designed some printables that’ll make it even easier to start your art journal. 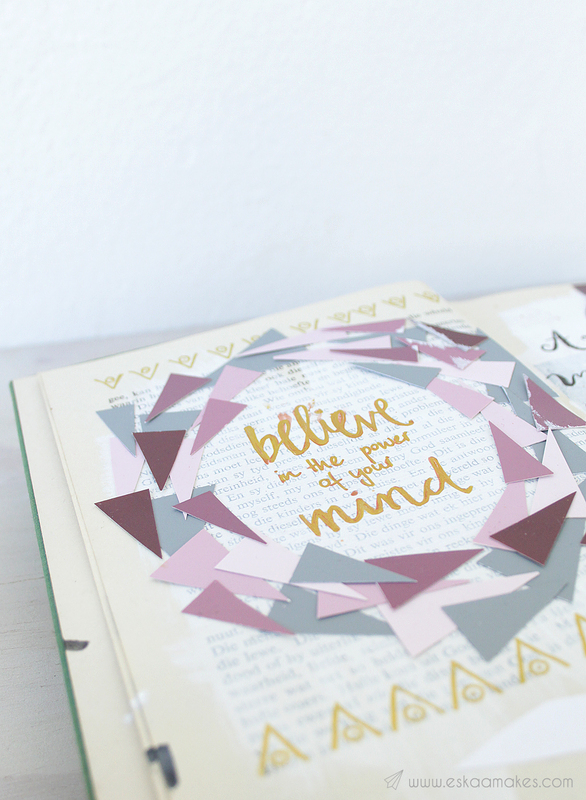 Cut out any shape you like and create your very first page. Go wild! You’ll find the downloads beneath the image. 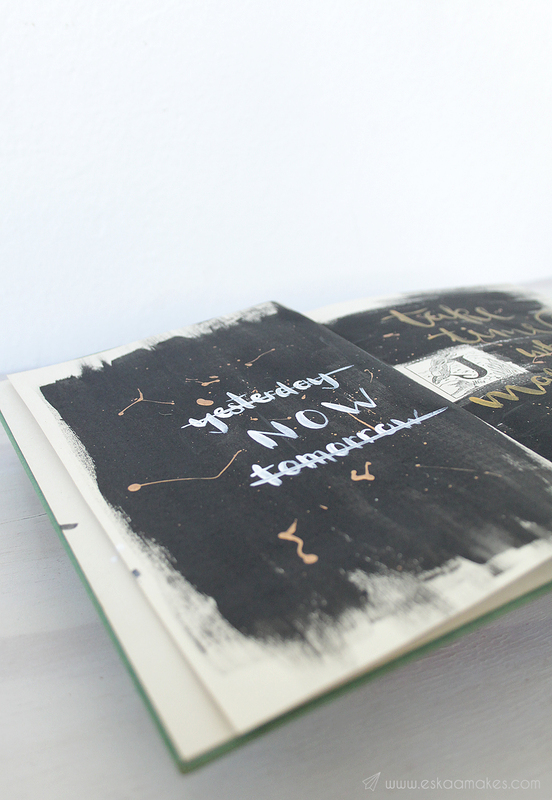 So what’s your first art journal page going to be about? What mediums are you going to use to express your thoughts? Your pages are so beautiful! 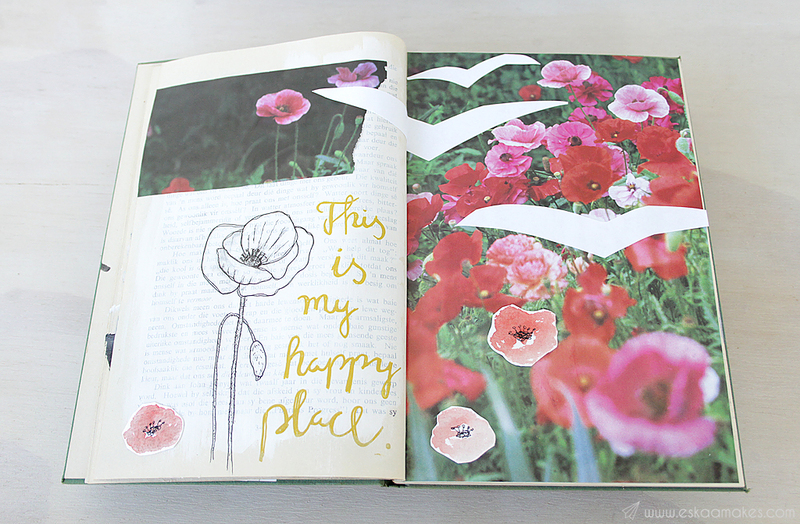 And I absolutely love your thoughts on art journaling. I always love hearing about this magical form of art from others. Thank you so much for sharing. It is a pleasure, Caylee! Thanks so much for your kind words. 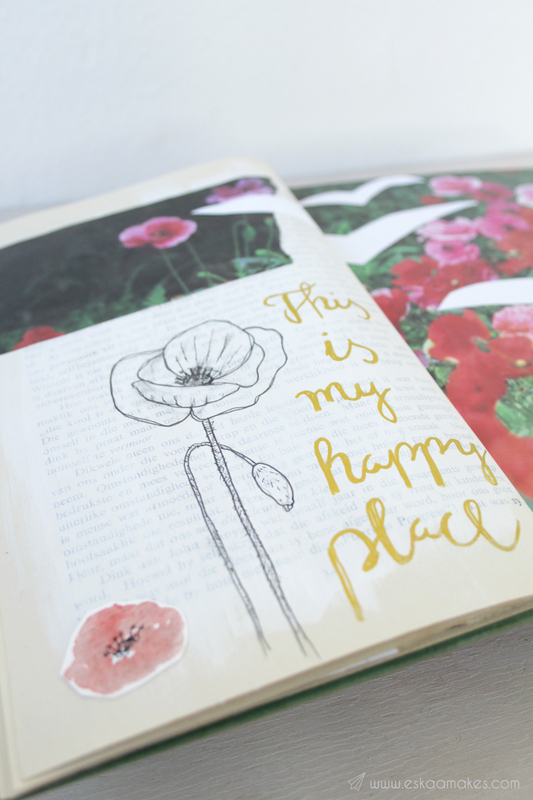 I am so happy that I discovered art journaling. Your course helps a lot in the beginning! Pingback: If you think you're not an artist - let me tell you a secret!